Dawn has more than 30 years of experience in sales, marketing and business in both for-profit and non-profit companies. Currently at Asbury, she supports the daily activities and special projects for the leadership and planned giving officers and Alumni Relations. She also manages the office and assists constituents when needed. 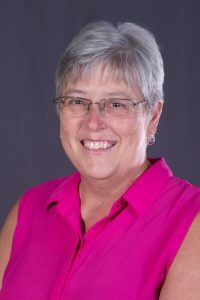 Dawn is a part of the Planned Giving Council and Reunion team and works on the Reunion Gift Project, Governors Prayer Breakfast and other projects as they arise. Dawn is married to Randy and has two sons. Ryan is a Special Education teacher in Manhattan, Kansas, and Grant is a Mechanical Engineer in Cincinnati.